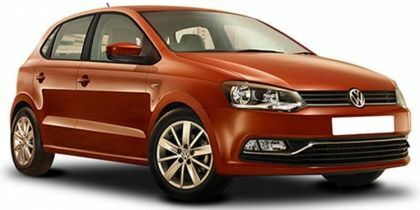 Volkswagen Polo price starts at Rs.5.72 lakh (Ex-Showroom, Delhi) and the top end variant Volkswagen Polo GT TDI is priced at Rs. 9.72 lakh (Ex-Showroom, Delhi). The German hatch can be had with one of three engines. The options include a 1.0-litre petrol and a 1.5-litre diesel on the standard variants and a 1.2-litre turbo-petrol and a souped up version of the diesel on the GT trims. Volkswagen are looking to replace the 1.2TSi engine with a new 1.0-litre turbo petrol that could make anywhere between 85PS - 115PS depending on the state of tune Volkswagen gives it. If you’re looking to have fun, the TSi is the one to pick. The diesel can munch highway miles for eons, and the three-cylinder naturally aspirated motor is best avoided. Q. Is petrol engine 1.0 liter turbo charged, if so what is the advantage? Q. In performance wise which one the best Polo Highline Plus diesel or Jazz VX diesel? Q. Which headlight in Highline Plus 1.5 diesel projector or halogen? The Highline Plus 1.5 diesel variant of Volkswagen Polo has halogen headlamps. Q. Baleno or Polo which has more comfort for back seats? Which has more features? Q. Which car is better in performance and service Maruti Baleno or VW Polo 1.0? It’s almost the same but the feel is totally different. Q. Does GT TSI has rear camera for parking? No it doesn’t. You can get OEM from the showroom.